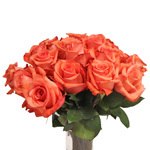 Find fresh coral orange flowers like the Impulse Coral Rose at FiftyFlowers.com. 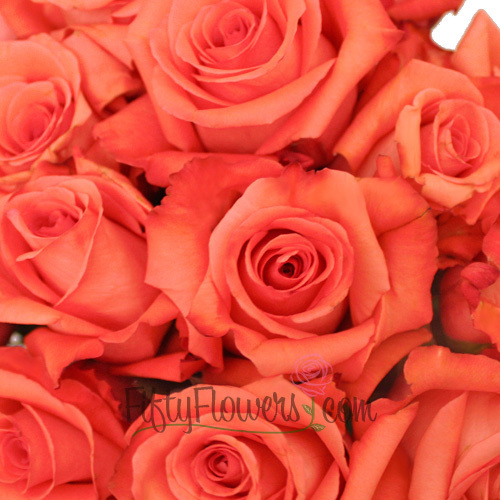 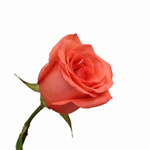 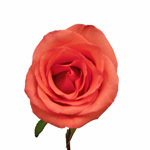 This rose is a colorful orange rose with heavy coral tones throughout. 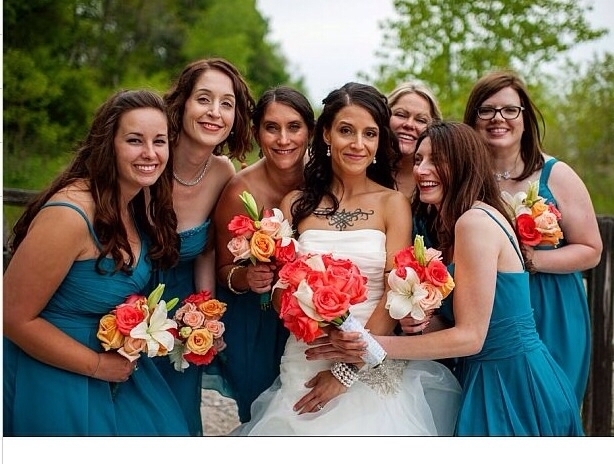 These would look great in a summer wedding combined with fuschia aleli and yellow billy balls.